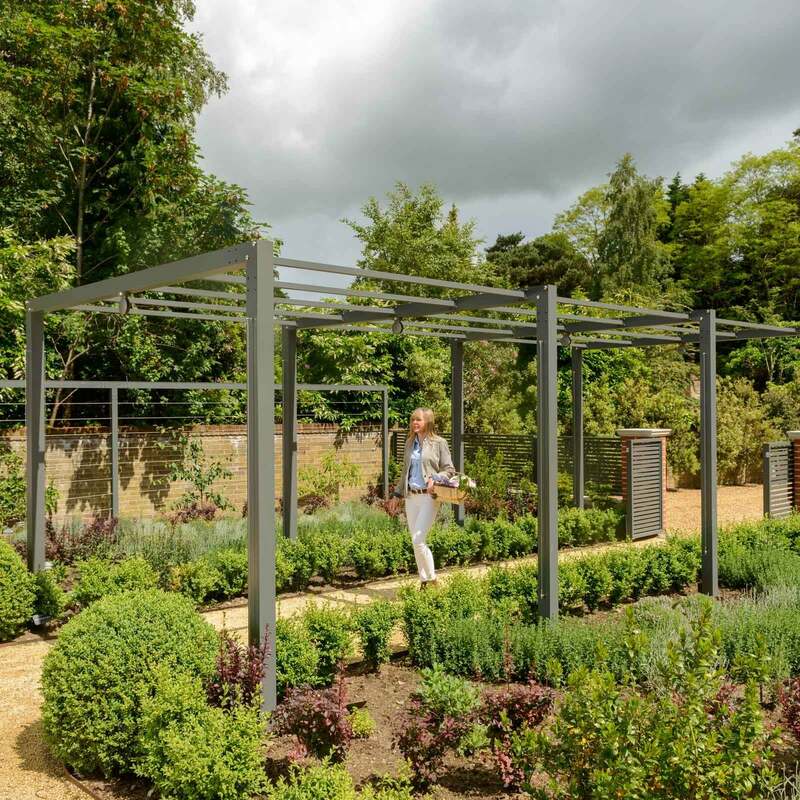 The stunning Contemporary Arch & Pergola Walkway will add visual interest and define space in a contemporary garden, using high grade aluminium finished in stylish anthracite grey, this Garden Arch & Pergola will be a wonderful focal point in the garden. The Contemporary Arch & Pergola Walkway is an ideal destination to relax and enjoy the garden when covered in roses, wisteria and other scented ramblers, or create a shaded floral walkway to lead from one section of the garden to another. 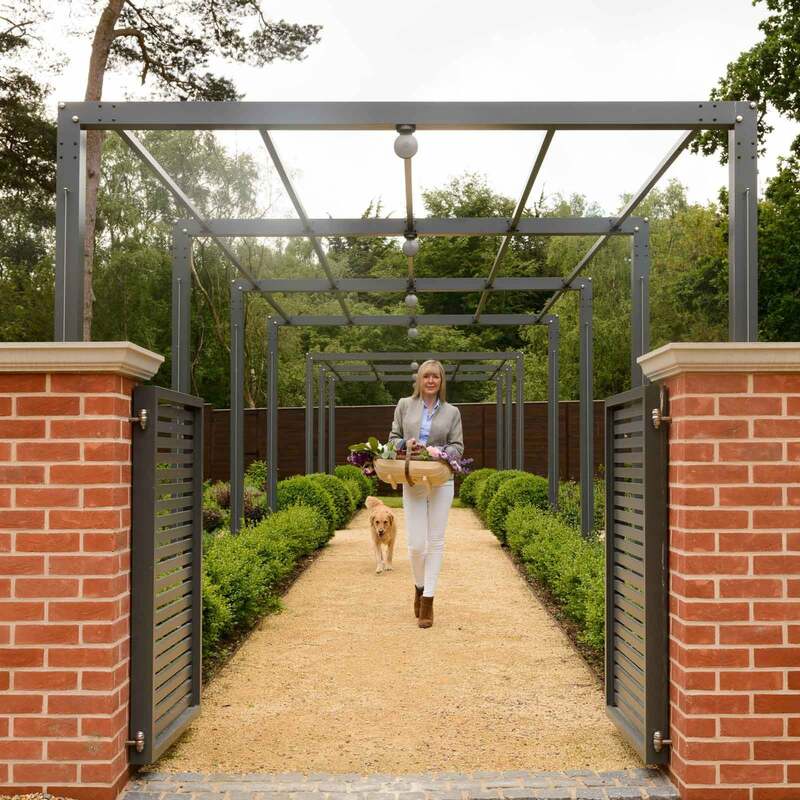 The Arch framework is made from substantial 10cm/4" square aluminium uprights and cross bars with an impressive 3.2mm wall thickness - heavy, robust, yet light in appearance that combines extremely well with modern, traditional, urban or country homes. To create a Pergola the arches are joined using 38mm square linking bars. 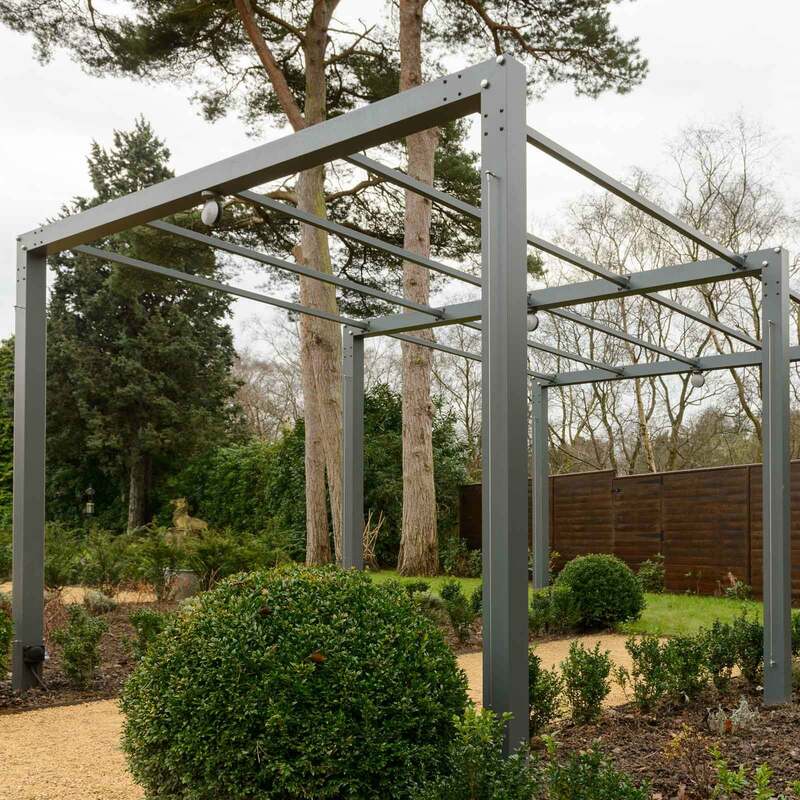 All the framework is non-corrosive, powder coated in a stylish anthracite grey (RAL/7016) and is guaranteed for 15 years. The Arches have steel “L” plate electro-plated corner joints which are secured with discreet bolts. 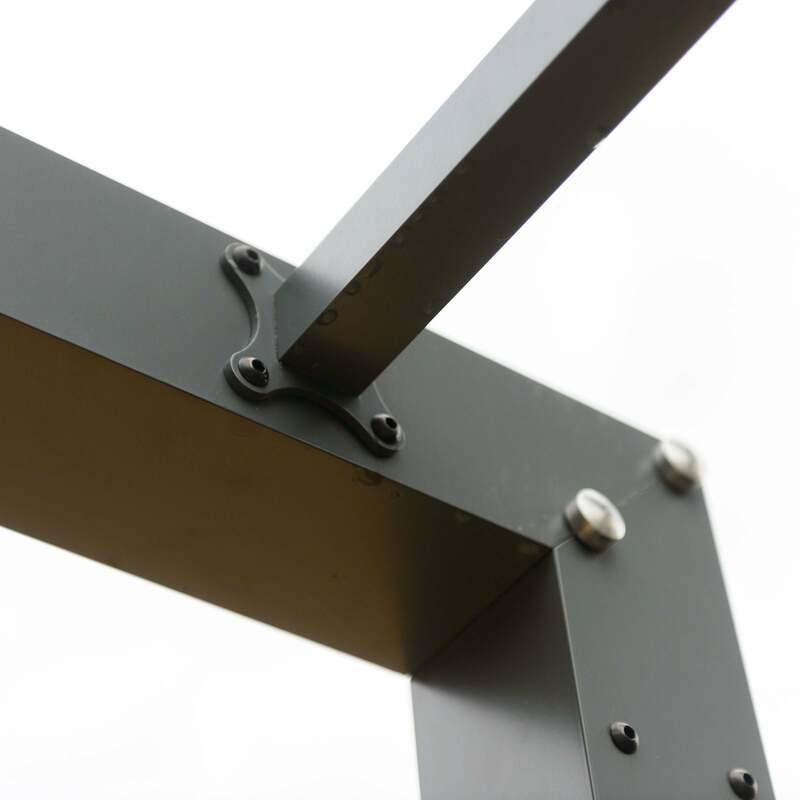 The Arch is floor mounted with floor fixing plates, optional bolts are available to secure the upright floor plates. 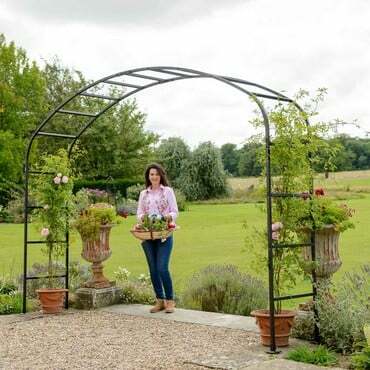 The Contemporary Arch can be ordered as a stand alone garden arch, or if you are looking to create a contemporary pergola walkway, simple select the base unit and then select as many extensions kits as you need for the length of your walkway. 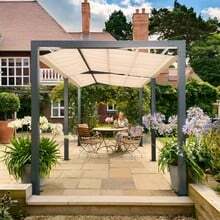 Awning Kits - We also offer optional contemporary awning kits (ARC-511) which enables you to create a practical and stylish outdoor living area. Each awning kit covers one section of the contemporary pergola (2.4m x 2.5m) and is made from high grade marine sail cloth in a stylish grey colour. The 2nd image shows 2 awning kits fitted to the pergola. The awnings are supplied with 2 retaining straps to secure the awning into place when not in use. 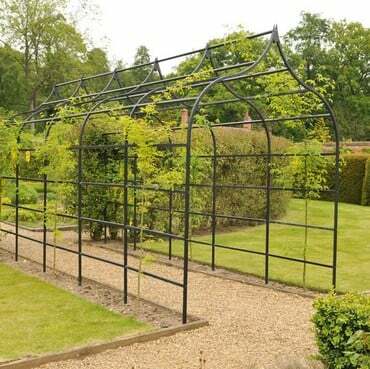 (A) Single Contemporary Arch - ARC-483 - 2.4m Wide x 2.4m High - position alone to frame a vista or separate sections of the garden. 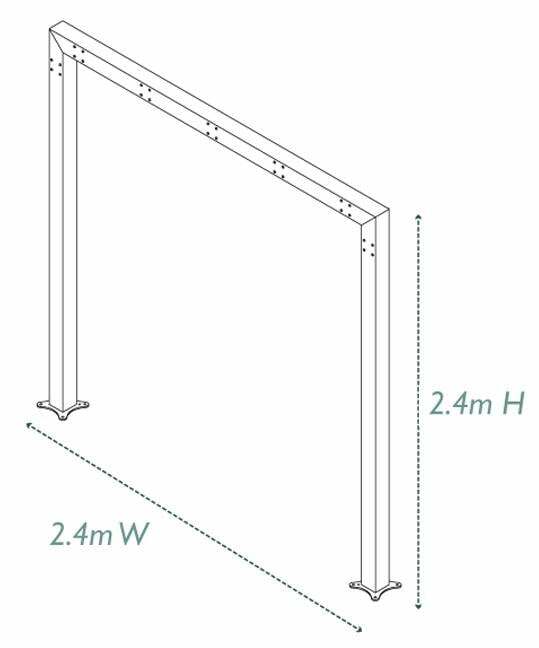 (B) Pergola Base Unit - ARC-484 - 2.4m Wide x 2.4m High x 2.5m Length – Includes 2 Arches and linking bars. Use alone for a special outdoor space ideal for dining or entertaining. One optional awning kit (ARC-511) would be required to cover the base unit. 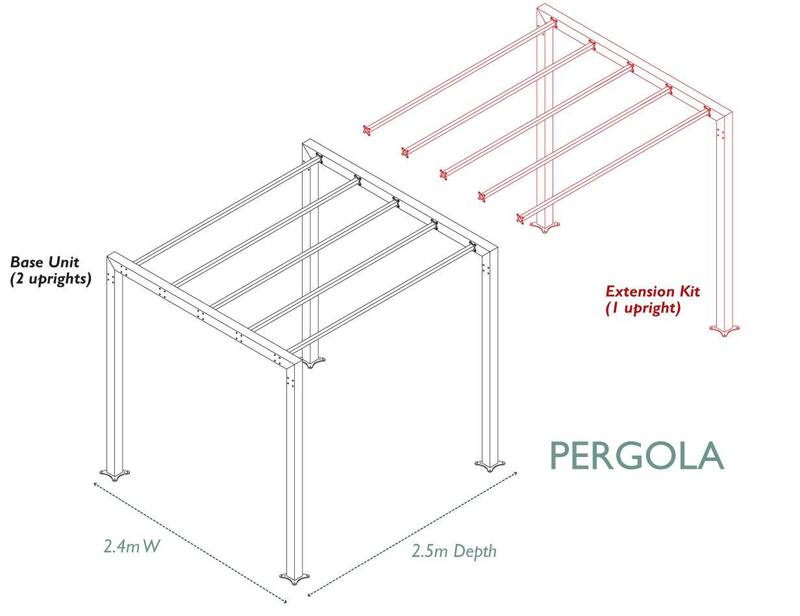 (C) Pergola Extension Kits – ARC-485 - 2.4m Wide x 2.5m High x 2.5m Length - includes 1 Arch and linking bars. 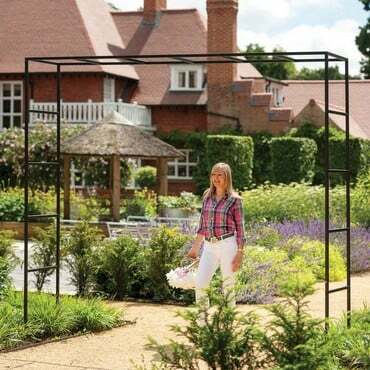 Add these single upright extension kits to the Pergola Base unit to create a walkway of any desired length. One optional awning kit (ARC-511) would be required to cover each extension kit. NB. All measurements are external. Each Arch Upright has a footplate with 4 holes for floor mounting to decking, concrete or other suitable surface. Stainless Steel floor fixing bolts are available separately if required.